Wouldn't it be great if you could plug multiple monitors into one device with only one cable? Most laptops have only one HDMI port, which means you can plug exactly one monitor into them. 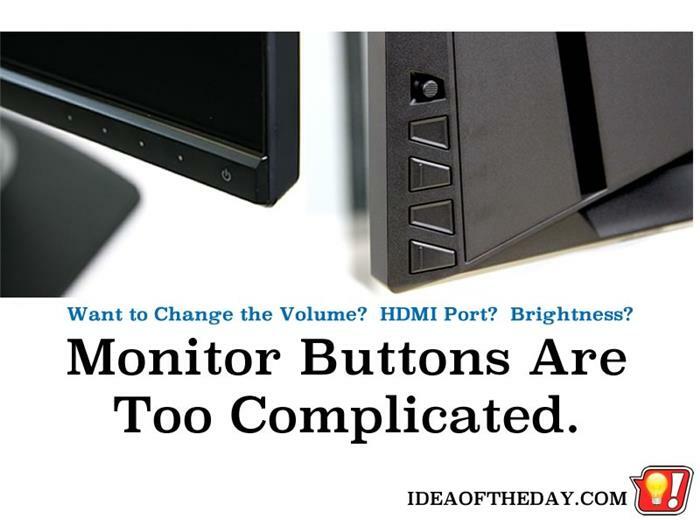 Handling multiple monitors means your laptop would need additional HDMI ports. My idea is to build monitors with expansion ports, specifically to add additional monitors. Technically, with a system like this, each additional monitor you add increases the number of total pixels, but not the number of monitors, so the computer will still see it as one monitor... just a bigger one. So the computer, cable TV / Satellite converter won't need any special cards or drivers. 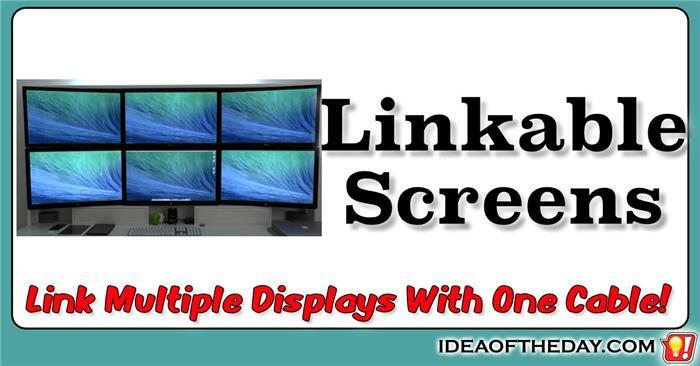 The host system will see it as one screen with a resolution directly proportional to the connected monitors. Remember when TVs and monitors had lots of buttons and dials to adjust things like volume, brightness, and tint? Now, they don't even label the buttons, because they use the same buttons for everything. Back in the days before remote control, TVs needed lots of buttons and dials. As remotes became popular, they eventually stopped putting those adjustments on the TV, so they started scaling back the buttons and dials on the TV, after all, you never get off your sofa to change the channel or adjust the volume.